” President Donald Trump’s Week 14 in Office – April 24 – 28, 2017 – Consummative 100 Days” – April 29, 2017. 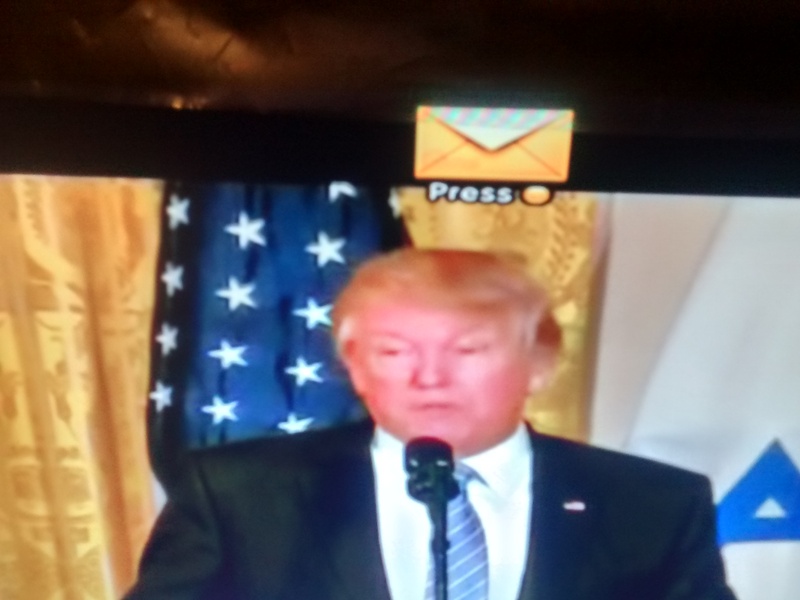 President Donald Trump – 100 not out with just one ‘Six’ in the form of Confirmation of 113th Justice of the Supreme Court, Neil M Gorsuch; a ‘boundary’ in the nature of a retaliatory attack on Syria – signaling that chemical warfare has to be nipped in the bud itself; and the rest coming from ‘singles’ mostly. Rather than evaluating the performance of President in his first 100 days in terms of specific accomplishments; quantification of actions completed; or measures of his popularity percentage; – an analysis and brief description in terms of the ” EFFORT” taken to move from Day 1 to Day 100 in the face of challenges will be quite in order. We don’t get butter directly from the cow; it needs “Effort” to transform milk into butter. President Donald Trump won a difficult election making the Republican Party proud in the first place. He had the major promises of – (a) Repealing Obamacare (fresh proposal introduced; not enough support to pass; modification for the record effected and is being processed – a ‘setback’) ; (b) Working towards a sustainable immigration policy (proposal placed; appellate court stay; modified for the record and placed again; a single judge stay witnessed – a’ setback’; (c) Negotiating deals for the betterment of Americans and the nation (China’s support to contain North Korea’s nuclear ambitions; Nafta negotiation with Mexico and Canada to begin; – ‘Fair’ performance) ; (d) An economically strong America (stock markets touched a new high with only last week recording the first fall – ‘Good’ performance) ; and (e) a big infrastructure program (trillion dollar initiative proposed in the budget; backed and upheld – ‘Good’ performance). One can at best classify these as a “manifesto”. The manifesto is usually for the full term and not for a short appraisal recording the assessment of individual. Hence, the 100 days activity period will only be a harbinger of detailed actions in the process of implementation. ‘Many a little makes a mickle’, and little improvements combined with forward movements on every promise during the period will count in significance. No major achievement(s) indicative of a distinguishing mark, eminence, or honor. But just as a chip on the shoulder indicates that there’s wood higher up, every little progress is indicative of a larger impact in future. Combine this with the kind of external and internal forces due to sudden turn of events, and one’s task becomes all the more strenuous and enduring. From this perspective one can safely regard the President’s ‘EFFORT’ as more than just ordinary or plain. 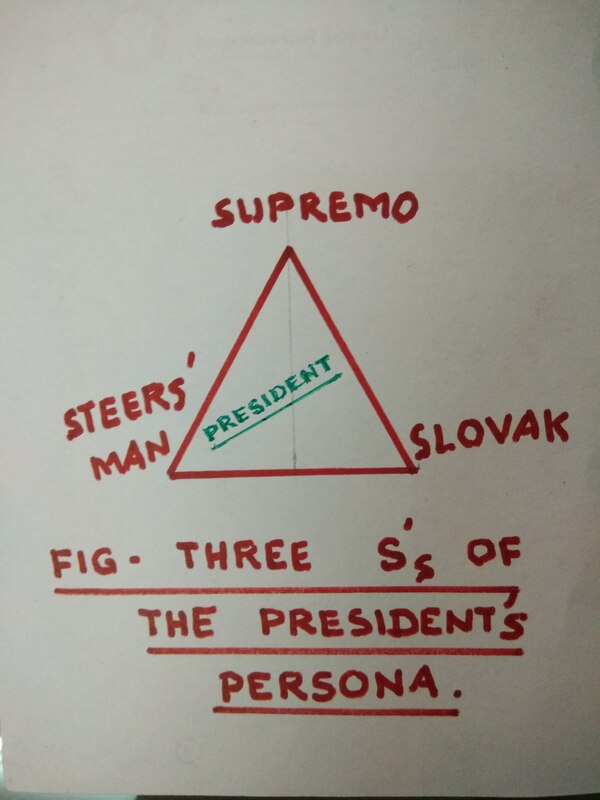 (a) Supremo : President Donald Trump is like a Supremo with a strong hold on power with popular support and authority. Although some may doubt his mental agility and decisions, he seems to be exhibiting his drive and determination to pursue the goal of treading a path different from the previous heads of state. His acts were encouraged and supported by those around him which was good for short-term plans, but found wanting in terms of experience for resolving any conflict (as with the spontaneous retaliatory attack on Syria but without a concrete plan for further courses of action due obviously to time constraints). However, the experience gained, in particular the success of the attack destroying a Syrian airbase sending a clear signal that the US will not be a passive onlooker of the catastrophic chemical warfare now or in future; a clear message of his priority to protect and ensure the safety and security of the citizens in danger, threat, or distress. The record of the destruction of a major part of Syria’s airpower cannot be overlooked. Analysts may do postmortem for long. Need to improve intelligence; active diplomatic maneuvers; inadequacy of a political solution for now; swift, effective and productive counteractions; creation of a culture to enable the above are the lessons learnt. The Supremo stands supreme. (b) Steers’man : President Donald Trump is like the steers’man with a dominant role in Strategic Thinking to steer the America First Vision. His main theme in this exercise incorporates leadership by “Nationally Associated Mind” (NAM) in tackling the problems facing the nation now, as he promised. His actions represent a congruence of thoughts from his advisers as strategists; industry champions as doers; and people as voices of concern and beneficiaries. Through his actions on revival of coal mining jobs; appointment of Neil M Gorsuch as Supreme Court Justice; considering designs and prototypes for the construction of the wall in the Southern border; – he has displayed his understanding of the nuances of managing concerns of people as well as the responsibility of his team. Great leaders have the right helpful mechanisms with courage programmed and course corrections incorporated to achieve the goal. While President Donald Trump has set his destination right and possibly clear, he still is engaged in creating and installing the right mechanism for the actions going forward. This will be his challenge after his 100 days reign. The steers’man steers in good stead. (c) Slovak : President Donald Trump’s principles and promises seem to parallel the Slovakian in EU even if the two nations are not comparable in terms of economy, geography, and diversity. It is not related either, nor can it be transmitted to other areas. The two striking priorities between the two, however, can be traced to (a) making the economy strong with jobs and growth; and (b) formulating a sustainable migration and asylum policies. In both cases, priority themes at the forefront are driven by (a) projects and programs having a practical impact on improving the quality of life; and (b) focus on people welfare seeking to achieve results in every part of the nation. President Donald Trump as the leader will strive to create an appropriate environment for development; unify the entire geography of America; introduce a sustainable immigration policy; build the stability, prosperity, and democracy as its fundamental pillars. The Slovak reminds the Slovakian in action. If the first 100 days saw the beginning in the nature of right, power, energy, and resourcefulness – his performance should be marked with praise. People may be guessing and wondering whether President Donald Trump can find the best remedy for all the ills affecting the American Society – a goal he has envisioned during his campaign – but his initiatives during the first 100 days reflect determinately that he is honestly engaged in looking at the problems through his own prism, right or wrong and the constraints or shortcomings notwithstanding . He will eagerly look forward to support from Congressional members on both sides of the aisle for all his key programs. He shall, however, be ready to withstand pressure for the next 1360 days! Tidbit : “Nearly all men can stand adversity, but if you wish to test a man’s character, give him power.” – Abraham Lincoln. 1. President Donald Trump’s new Tax Code entails the following seven key elements : (a) The number of tax brackets for individuals has been reduced from 7 to 3 now. (b) Standard Deduction is doubled. (c) Repeal of Alternative Minimum Tax. (d) Lower Capital Gains tax from 23.8% to 20%. (e) Repeal of Inheritance Tax. (f) Preserving deductions for mortgages and charity. (g) Corporate tax reduced from 35% to 15%. President Donald Trump is a high income earner. He receives income from 564 business entities and can take advantage of low rate on “pass through” companies. It is felt that his proposal signifies a strong tilt to favor the business and rich people. It is also felt that major benefits would not last beyond 10 years at the most, because laws do not permit deficits above that window. Details are yet to be released. 2. Economic growth will offset the proposed tax cuts is the argument in support. However, many economists do not concur. 3. President Donald Trump signs two executive orders in his move to shift environment policy : (a) to expand offshore drilling ; and (b) to roll back conservation of public lands. The lands will be open to drilling, mining, and logging due to this order. It will also permit offshore drilling in the protected waters of Atlantic and Arctic. Chief aim is creation of more jobs in the energy sector – a promise he made in Election Campaign. 4. Negotiations of a spending bill that will likely set aside any provision for border wall construction while at the same time increasing the funding for military and border security measures can effectively neutralize any threat of a government shutdown. In a healthy and hearty sign of legislative fraternity, the Congress today approved a one week spending measure till next Friday setting in motion negotiations for a long-term Spending Package. 5. William H Orrick, United States District Court Judge, blocked the President’s move to deprive federal funding to localities that do not align with immigration enforcement efforts citing rules that such efforts can be imposed only by the Congress. The sanctuary cities may feel relieved as at present. 6. Federal Communications Commission Chairman, Ajit Pai, plans to loosen the government’s oversight of high speed Internet providers. Central to this is the net neutrality. “The more heavily you regulate something, the less of it you are likely to get”-he says. High Speed Internet Service should no longer be treated like a public utility with strict rules, but should largely be left to police itself, he added. This plan is contrary to Obama’s signature telecom decision which had the support of the tech industry. Net neutrality is back to the fore again. 7. House Freedom Caucus lends a fresh lease of life to the Repeal of ACA by giving it’s approval to a new, more conservative version. But Republicans could not muster enough support to get it through. 8. Renegotiating and not abandoning Nafta is President Donald Trump’s priority now – a change in script from his election campaign thunder – as evidenced from his telephone calls with Mexican President and Canadian PM. 9. Jared Kushner’s business partner, an Israeli investor, has been an enabling hand in his multi billion dollar business with potential for conflict – it is revealed. 10. Ivanka Trump’s accolades in defense of her father that he has been a “tremendous champion of supporting families” at the W20 Summit in Berlin met with unpleasant responses. 11. Fox News faces a class action lawsuit for its “abhorrent, intolerable, unlawful, and hostile racial discrimination” brought before the Court by Eleven current and former employees. Tidbit : ” The main task of any President is to work for the Public Good”.